Femke Olyslager was born in 1966 near Antwerp in Belgium. Already during preschool it became clear that she was not like other boys. As a shy boy, struggling with anxiety and depression, she found relief in science and as a bright student leaving high school she started studying Electrical Engineering at Ghent University in Belgium. After obtaining a PhD she then continued a successful academic career leading her to become a Full Professor in Electrical Engineering and Applied Physics at Ghent University at the age of 35. Her life, even while having two lovely children, remained difficult culminating in severe anxiety disorders and physical weakness. At the age of 38, at a moment when being really became unbearable, she was directed by the web site of Mianne Bagger to that of Lynn Conway. Reading Lynn�s biography took away all doubts: �I sense an intense situation,� Lynn answered after Femke sent her an email. Femke then discovered, to her own surprise, that the university hospital at her own university hosts a leading gender team. Under the dedicated counseling of Griet De Cuypere, MD, PhD, and the understanding and support of her friends, most of her family and her university, she was able to transition smoothly and to find peace in life. Femke's research deals with the study, simulation and application of electromagnetic fields. She has authored several hundreds of publications in international journals and conference proceedings, authored two monographs and received many national and international scientific distinctions. She is a Fellow of the IEEE (Institute of Electrical and Electronics Engineers) and Assistant Secretary General of URSI (International Union of Radio Science). She is a Supporting Member of WPATH (World Professional Association for Transgender Health). Her scientific background and her transition led Femke, working together with Lynn, to study and report on the prevalence of transsexualism (more). In her free time she enjoys art and sometimes she risks embarking on creative computer graphic experiments! 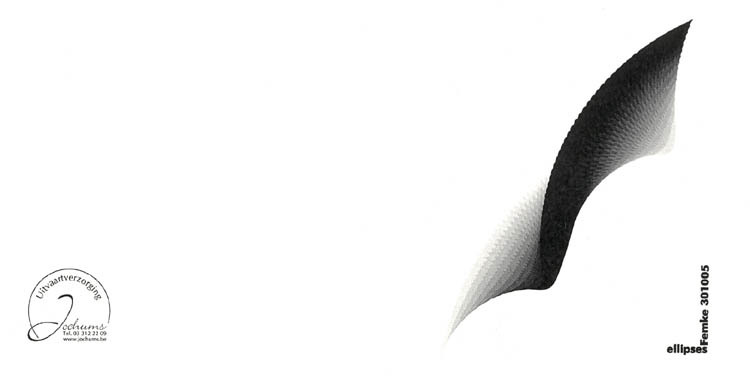 We were very deeply saddened when Femke Olyslager passed away on January 28, 2009. A kind heart and dear friend to ever so many people, Femke succumbed to ill-health of long standing. Femke was a brilliant scientist in her professional specialties of computational and theoretical electromagnetics. She and I also recently collaborated on studies of the prevalence of transsexualism (more, more). Her creative mind and keen insights led to considerable progress in that area, and her passing is a great loss to science. Although often suffering in silence herself due to ill-health, Femke always reached out to others in need, to provide hope and encouragement and a helping hand - especially to other gender transitioners. We will always remember her warm and gentle spirit, and will treasure our memories of this wonderful woman. May she rest in peace in a better place. Links to memoria by Femke's colleagues at URSI and by Femke's friends Evie, Leona Lo, Chlo� Desoutter and Susanna Boudrie (see below). 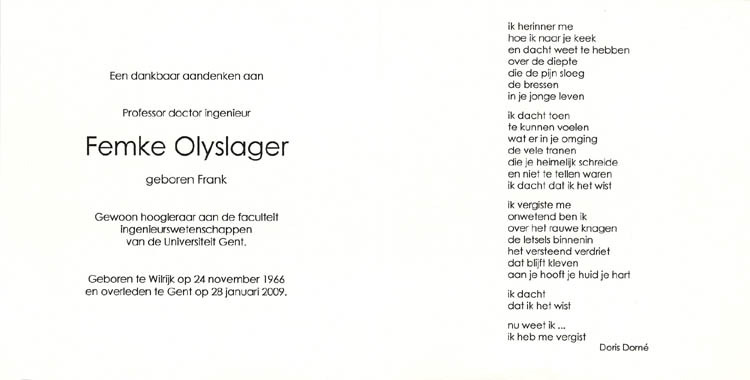 A remembrance card passed out by Femke's family at her funeral. The design on the cover was by Femke. 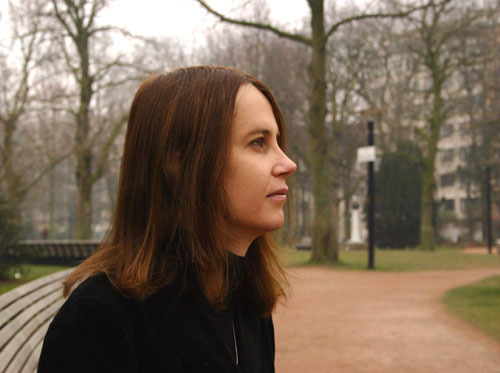 Prof. Femke Olyslager passed away unexpectedly on January 28, 2009. Prof. Olyslager was born in 1966. She received the MS degree in 1989 and the PhD degree in 1993, both in Electrical Engineering from Ghent University, Ghent, Belgium. She was a full professor of Electromagnetics at Ghent University. She was a brilliant scientist who made outstanding contributions to the fields of computational and theoretical electromagnetics. She authored or coauthored approximately 300 publications in international journals and conference proceedings. She coauthored Electromagnetic and Circuit Modeling of Multiconductor Transmission Lines (Oxford University Press, 1993), and authored Electromagnetic Waveguides and Transmission Lines (Oxford University Press, 1999). Throughout her career, she showed a commitment to URSI. She will be deeply missed by the radio science community. The Department of Information Technology and its Electromagnetics group, her many PhD students to whom she was an inspiring example, and the URSI Board and Secretariat are deeply saddened by this loss of a dear friend and colleague. te ontplooien, je scherpe geest, je gastvrijheid. Femke, je vrienden zijn hier, en we denken aan je. met geen woorden te beschrijven. en we respecteren je keuze. We houden van je. van de kleine en de grote dingen. Het spijt me, schreef je, maar het spijt ons ook. dat je zoveel pijn had. Maar we zijn ook blij, want je hebt ons leven zoveel beter en mooier gemaakt, zoveel rijker. En Femke, we zullen ook al de mooie momenten herinneren. ourselves, your sharp mind, your hospitality. Femke, your friends are here, and we are thinking of you. now cannot be described in words. and we respect your choice. We love you. you could enjoy the great and small things. I'm sorry, you wrote, but we're sorry too. that you had so much pain. But we are also happy, because you've made our lives so much better and more beautiful, so much richer. And Femke, we will also remember the nice moments. Femke Olyslager was Professor in Electrical Engineering and Applied Physics at Ghent University. Throughout her life she struggled with gender identity conflict, and although she was married with two lovely children, she also suffered from severe anxiety disorders and physical weakness. At the age of 38, she approached Lynn Conway for advice. Under the dedicated counseling of Griet De Cuypere, MD, PhD, and the understanding and support of her friends and her university, she went through gender reassignment surgery and found new life as a woman. I first met Femke when she travelled to Singapore for a regional conference on electromagnetic fields. She was shy and nervous, yet humorous and tender in so many ways. We met again last year when she attended her second conference in Singapore. This time, we spent more time together, and even coordinated a media conference to release the first-ever transsexualism prevalence rates in Singapore. I remember working on her powerpoint presentation in her hotel room - that was a fun experience! Alas, Femke passed away last night. All that I have of her are the newspaper clippings from the Chinese media and the intelligent poster she designed and courriered to Singapore for me. I wish I could hold her hands once more and tell her everything will be alright, that she will turn the corner eventually. Femke was a beloved friend. She was at the same time brilliant, amusing, and with a deep personality. I remember when I met her. We talked about many things, especially the studying protocol for the prevalence of transsexualism. But our topics were not limited to that. We had much wider conversation fields. Architecture, electronics, quantum physics, computing for the hard ones. Sexuality, how she suffered of anatomic problems, how deeply she missed her children, the hate she couldn't understand from her former in-laws. I loved the way she dressed. She played with black and white colors. It became one of my inspirations for some costumes I use in performances. She was an artist, also, though she denied it. The last work I saw of her was an adaptation of one of Piranesi's works, using vector graphics. Femke was an anxious friend. I had passed over this anxiety: our relation was deeper than that. She was more than just a friend. The long conversations we had are not forgettable. I can't believe she won't say hi again. I can't believe "femkex" will never pop-up on Skype again and ring my computer. I said goodbye, but still, it's cruel. The goodbies were a pain. It was not only Femke's ceremony. Some people there tried to raise "Frank Olyslager" from the dead. The man she never was. This was painful, I thought I'd leave the ceremony, but I stayed, for her and for us all. My transgender mate had me stay. I promised that I would never let her family call her anything but the name she chose. I hope that it will never happen to anyone again. Femke Olyslager will always live on somewhere in my heart, and in the hearts of all the people that were present this day. We were some 300 people that had met up to say goodbye to Femke; in spite of the fact the it was in her natal village, some 2 hours drive from Gent, where most of her friends and colleagues live. Her boss made a very bad speech, not honoring her memory by referring to her both as Femke and her old name. Another WBT and, I each held a speech where we both made clear that one of Femke's main problems was that she was withheld access to her children. Femke's ex. wife and her family stomped out of the ceremony, but finally the children had heard first hand what had happened to their "disappearing" "father", and that Femke cared for them and was a very very appreciated friend and scientist. She incarnated the word kind. She always thought about her next. Although haunted by her ghosts, she only had one regret: that she no longer had any contact with her children. When she was deep down her last month, the thought of them were the only thing that kept her going. Femke's exceptional kindness was widely known and today I bring the last greeting from people in Singapore, Sweden, France, Ireland and the US. Rest in peace Femke. You live in the loving memories of your friends and loved ones."